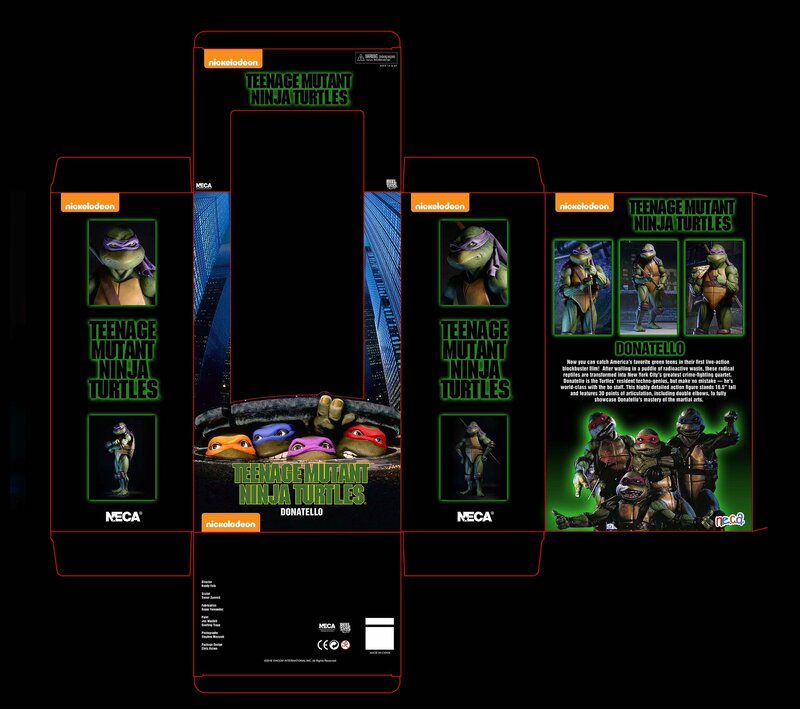 NECA 1/4 scale Henson Turtles!!! Haha yep, that's the world of licensing. I agree about the Nick thing here. Its too standout-ish. The packaging is PHENOMENAL and it looks like a window box to boot. The bright orange is detracting. All of their 1/4 scale figures tend to be Window Boxed to show off the figures. I am excited I dont have to remove them from packaging. My 1st experience with 1/4 scale. I ordered 2 cases of each turtle (2per case). I hope I can move them reasonably. Shipping might be murder on these. Hopefully they will sell at local conventions. I'm loving the throwback packaging! There's no way in hell these things are remaining in the package, though. Omg update guys!!! Straight from randy on twitter! When Mondo says that I find it as excuses. When NECA says that it just makes me more excited that we're one step closer to release. Randy just revealed the packaging on Twitter. Looks awesome sauce. Haha I love the little F.H.E. style logo. Wonder how many of these will be crushed will shipping. Still on track for late nov as far as I am aware. Randy has made it sound like the manufacturing was ready and the packaging was the hold up. Now that we've seen the packaging, we should be close. The NECA site says Dec so looks like we'll be waiting even more now. I want to buy them. NOW. I'd rather wait and get a solid product, than have it rushed and be imperfect. These delays are a good sign. It probably means they are evaluating the test shots and sending back to fix issues in production that don't fit their standards. More than likely, they're all in a shipping container that's stuck in customs. Nick's green light is the only reason we are getting these figures, so I really could care less about their logo being on the box. Thanks, Nick!!! No kidding! The package design isn't bad, but I'm not buying these things for the box art. If I was interested in displaying packaging, I would go after something a little cooler. GIMME THESE TOYS!!!!! I would go after something a little cooler. GIMME THESE TOYS!!!!! Going off of the tiny bit you quoted, you apparently didn't read my entire post. Let me help. The package design isn't bad, but I'm not buying these things for the box art. If I was interested in displaying packaging, I would go after something a little cooler.